Learning about the importance of Christ's resurrection. A file photo of a Chick-fil-A sign. In the last two weeks, Chick-fil-A has missed out on two potentially lucrative airport contracts after local politicians raised concerns over the company’s anti-LGBTQ history. Chick-fil-A has previously faced criticism and boycotts for its donations to anti-LGBTQ groups and CEO Dan Cathy’s public comments opposing gay marriage. The chain is famously closed on Sunday for religious reasons. 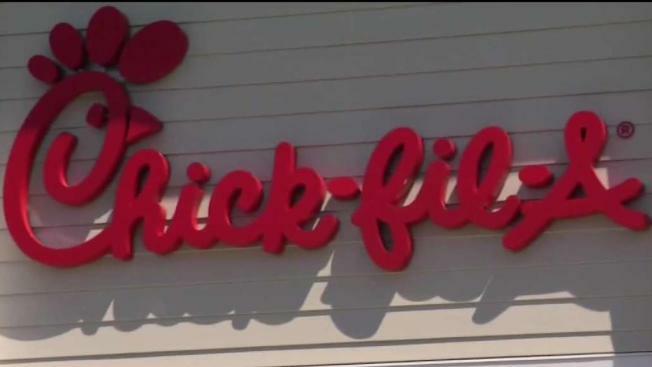 New York State Assemblyman Sean Ryan tweeted Thursday that he was disappointed in the Niagara Frontier Transportation Authority’s decision to put a Chick-fil-A in the Buffalo Niagara International Airport. Just a day later, Ryan tweeted that he spoke with the food court’s vendor, who told him that Chick-fil-A would no longer be a part of the project. “We hope in the future the NFTA will make every effort to contract with businesses that adhere to anti-discriminatory policies, and we’re confident another vendor who better represents the values of the Western New York community will replace Chick-fil-A as part of this project in the very near future,” he said. In San Antonio a week earlier, the city council voted 6-4 to remove Chick-fil-A from its seven-year concession plan for one of San Antonio International Airport’s terminals. The day before the vote, ThinkProgress reported that the private company’s foundation had donated more than $1.8 million to three anti-LGBTQ organizations, including the Salvation Army, according to its 2017 tax filings. While city council member Roberto Trevino said in a statement after the vote that he opposed including Chick-fil-A because of its discriminatory behavior, the San Antonio Express-News reported that Mayor Ron Nirenberg argued against including the chain because it would lose revenue on Sundays. Republican Texas Attorney General Ken Paxton has opened an investigation into San Antonio’s decision to exclude the restaurant on the grounds of religious freedom. Chick-fil-A did not immediately respond to a request for comment from CNBC.